Dr. Maggie Motakef and her team at Alipaz Family Dentistry are proud to be a part of the San Juan Capistrano community and offer healthier smiles to our residents. We offer comprehensive dental care, meaning we can complete your treatment in one office without having to refer you to outside specialists, including Invisalign clear aligners. A very discreet and convenient way to improve the health and appearance of a smile is with the innovative Invisalign System. Invisalign uses a sequence of removable, transparent aligners to move teeth into their ideal positions without any metal wires or brackets. People who don’t wish to spend months wearing bulky metal braces prefer improving their smiles with Invisalign. If you wish to improve your smile with Invisalign, Dr. Motakef will provide you with a thorough examination to determine if you’re a good candidate for clear aligners. If she determines that you could benefit from Invisalign and you wish to begin treatment, Dr. Motakef will carefully and precisely plan out your treatment, creating a series of clear aligners that are custom made just for you. Each finely calibrated aligner is designed to fit snugly over your teeth so your teeth move gradually, step by step until they are in the desired position prescribed by Dr. Motakef. You will be instructed to wear each aligner for about two weeks and then move on to the next aligner in the series and so on, until your treatment is complete. You must wear your aligners for 20 to 22 hours each day, only removing them to eat, brush or floss. You will come into our office about once every 6 weeks so we can make sure your treatment is on track and progressing as it should. The length of time you will need to wear aligners can vary anywhere from 9 to 15 months. 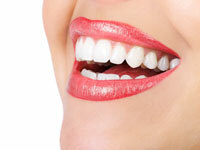 First and foremost, you will enjoy being able to improve your smile in a very discreet manner. Most people won’t even notice that you’re wearing Invisalign because its transparent appearance. This means you can smile with complete confidence knowing that people are concentrating on you and not the appliances on your teeth. Another clear benefit of Invisalign is the convenience factor. Because the aligners are removable, you just take them out when eating and then pop them back in when done. This means you can continue enjoying all your favorite foods the entire time you’re in treatment, which is something all Invisalign patients love! And, since the aligners are designed to be taken out when brushing & flossing, you never have to worry about not being able to maintain good oral hygiene. Keeping your teeth and gums clean and healthy is easy with Invisalign! To find out if Invisalign is right for you or your teenager, please schedule an appointment with Dr. Motakef by calling us at (949) 493-0611. We are located in San Juan Capistrano and see patients from San Clemente and all around Orange County, so we look forward to meeting you soon!